El Alto International Airport and Viru Viru International Airport are the two major entry points into the Bolivia. The former sits quite close to the country’s capital city, La Paz. Bolivia is considered one of the cheapest South American countries to travel in, with budget travelers facing prices in the order of $30 per day. May through October is the tourism high season in Bolivia, which coincides with the country’s dry season. Throughout the year, temperatures in Bolivia stay between 2˚C and 16˚C (35-60˚F), with only a small fluctuation in temperature due to changing seasons. June and July are notably colder, with average low temperatures reaching -4˚C (26˚F) in some parts of the country. Colourful blankets, clothing and wooden trinkets are all commonly found souvenirs in Bolivia. Bolivia is one of only two landlocked countries in all of South America (it’s joined by Paraguay). However, the lack of beach hasn’t stopped the country from becoming a popular tourist destination, particularly among backpackers and budget travelers. 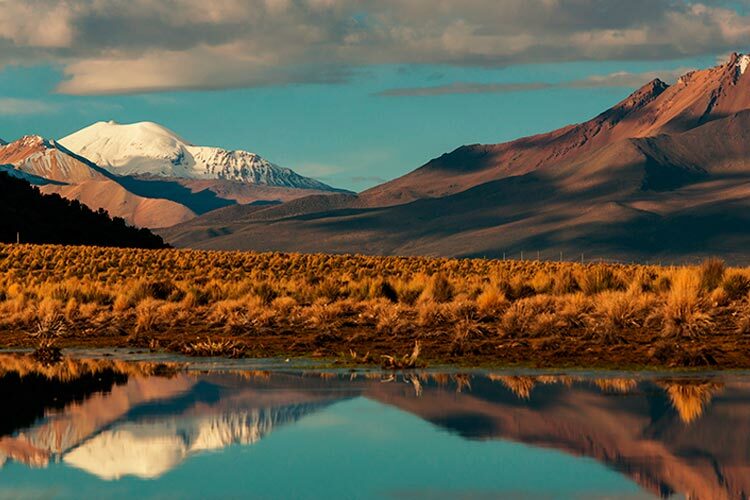 Much of what attracts travelers to Bolivia is the country’s extreme altitudes. Bolivia is home to a significant portion of the Andes Mountains, the world’s longest continental mountain range and the highest non-Asian range. Because of these mountains, Bolivia boasts the world’s highest capital city, La Paz, and one of the world’s highest navigable lakes, Lake Titicaca. In the mountains, one can also find Yungas Road, which is widely considered the world’s most dangerous road. Bolivia also holds a portion of the Amazon River Basin and the world’s largest salt flats, Salar de Uyuni. Like most of South America, Bolivian history changed considerably with the arrival of the Spanish. Before European colonization, Tiwanaku forces ruled most of Bolivia’s Andean region, while a number of smaller tribes divvied up the rest of the country. Portions of Bolivia were also briefly ruled by the Incas, who expanded into the territory during their final years in the 15th century. The infamous Spanish campaign against the Incas began in 1524, and within nine years the Incan civilization had fallen. The Spanish called Bolivia “Upper Peru” and gave control of the country to its protectorates in Lima. Rather quickly, the Spaniards began capitalizing on Bolivia’s silver mines. Today, many of the largest Bolivian cities can trace their roots back to small Spanish mining communities. In 1809, the Bolivian city of Sucre began to rally for independence, which many consider the start of the Spanish American Wars of Independence that engulfed the continent. Thanks to the efforts of Antonio José de Sucre and Simon Bolivar, Bolivia was able to gain its independence after a bloody sixteen year conflict. The later of these figures also gave his name to the new country. However, Bolivia quickly fell into conflict with other South American countries, most notably Chile. Throughout the 19th century, Bolivia, Peru, Chile and Argentina engaged in military conflicts, which ultimately cost Bolivia a sizeable territorial claim including its entire Pacific coastline. In fact, since its independence, more than half of Bolivia’s lands have been taken by neighbouring countries. Furthermore, this conflict significantly decreased quality of life in the country. A series of governments ruled Bolivia through much of the 20th century, and democracy wasn’t truly installed in the country until the 1980s. Since then, the country has made efforts to increase its economic productivity and standards of living by increasing privatization of resources. 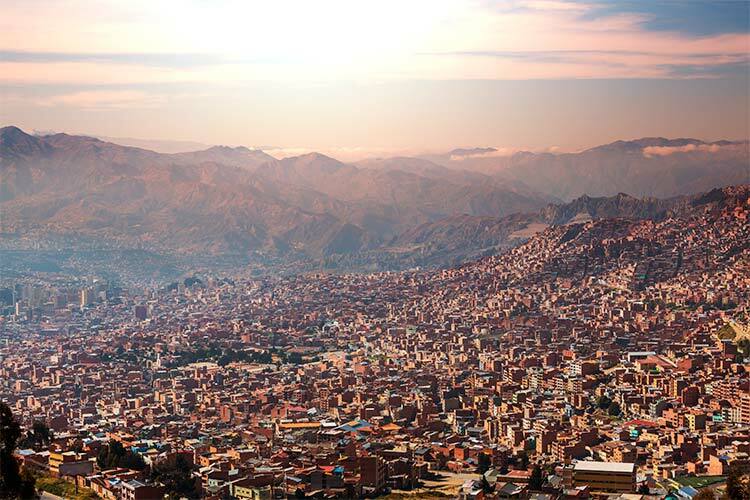 La Paz is a fantastic place to start your journeys in Bolivia. As the country’s administrative capital, the city is used to scores of tourists coming through each and every day, and as such numerous amenities and attractions exist. Sagarnaga Street is the centre point of tourism in La Paz, and here you can find numerous hotels, restaurants, street vendors, and other businesses catering to tourists. Another popular attraction is the Witch’s Market, a unique market filled with street vendors selling otherworldly items best used in ancient indigenous customs and occult pursuits. Compared to other South American cities, La Paz has done a relatively poor job of preserving its colonial heritage, but interested travelers can find a handful of older buildings and museums along Calle Jean. Found in south central Bolivia, the city of Sucre is famed for its relaxed atmosphere and remarkably well preserved historic district. Travelers ought to visit Plaza 25 de Mayo, the site of numerous government buildings, a cathedral, and the home where Bolivian independence was first declared back in 1825. Nearby Sucre is Cal Orkco. This popular attraction features a collection of fossilized dinosaur footprints found on the side of a dried lake. Sucre is also the central point of the southern Bolivian artistic movement, which has recently emphasized a return to traditional techniques and practices. Museums like Museo de Arte Indigena do an honourable job of housing both modern and traditional Bolivian arts. 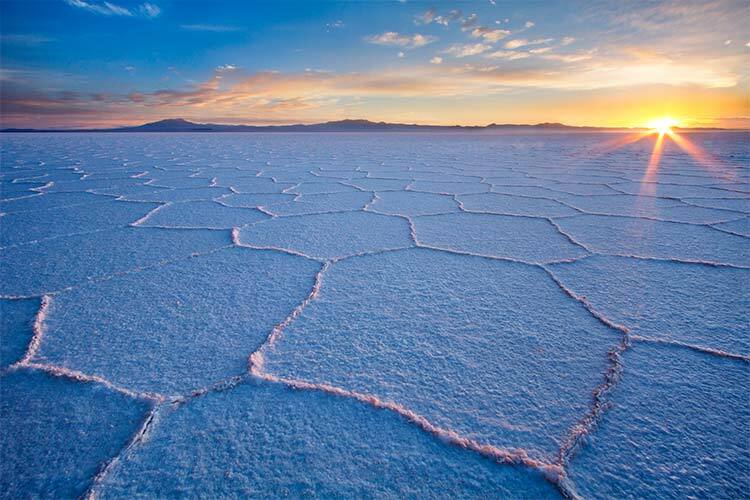 In the southwestern corner of Bolivia lies Salar de Uyuni, the world’s largest salt flat. No matter how well seasoned of a traveler you may be, you’ve never been anywhere like Salar de Uyuni. This surreal landscape varies considerably throughout the year. During the dry season, the landscape is engulfed in an endless expanse of white salt, occasionally piled into small mounds. The wet season sees these salts covered in a thin layer of water, creating a perfect reflection of the sky above. There’s also a train graveyard, a few small villages, a volcano and numerous lakes to be found in this mind-bending region. 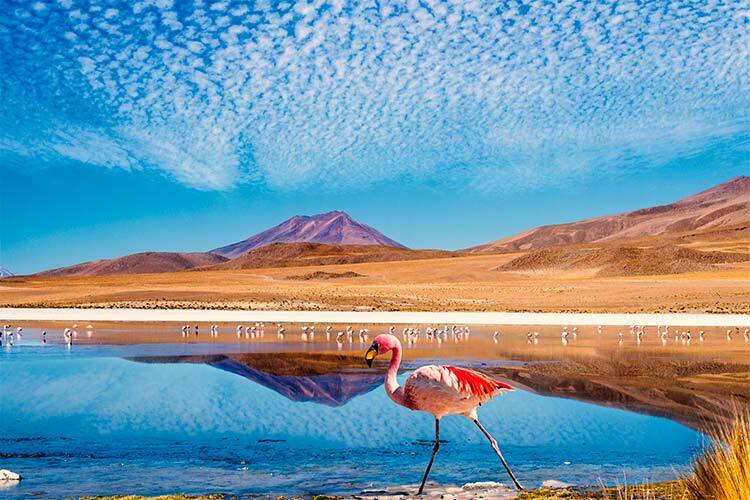 1) Spend some time hiking through the dizzying Salar de Uyuni, the world’s largest salt flat. Treks through this region typically visit famous sites like the train graveyard and the salt hotels. Many tours also make it out the Laguna Verde, a strikingly coloured lake on the Chilean-Bolivian border. 2) While in Sucre, be sure to visit Plaza 25 de Mayo, the central point of the city’s culture and history. Here, travelers can wander the halls of government buildings or explore one of the numerous museums. What’s more, head out the Cal Orkco, a fascinating archaeological site featuring fossilized dinosaur footprints. 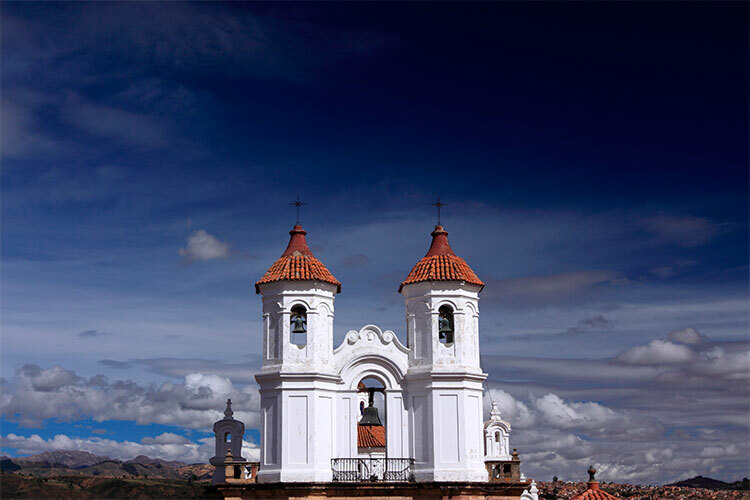 3) Santa Cruz is one of the most highly populated and wealthy cities in Bolivia. Visitors can explore the city’s central streets, which features upscale dining, shopping and movie theatres. The city is also famous for soccer. Head over to the famous Academia de Futbol Tahuichi Aguilera to see the training grounds for many of the game’s top athletes, as well as the young people training to become the next generation of soccer stars. 4) Just outside of Santa Cruz sits Amboro National Park, which borders Carrasco National Park. These important nature preserves are home to countless species, including the elusive Spectacled Bear and the ocelot. The park also features an extremely diverse number of plants, with more than 4,000 identified plant species. In terms of average number of plant species per acre, few parks in the world rank as highly Amboro National Park. 5) The vibrant city of Cochabamba features numerous attractions for tourists. 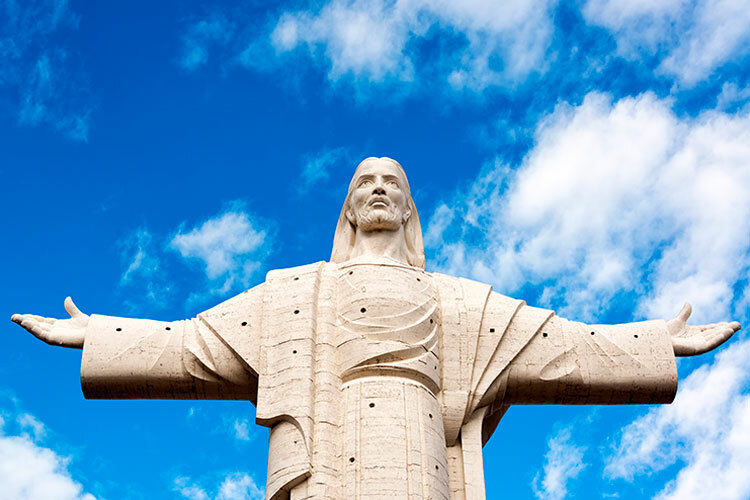 Perhaps the most famous is the Christo de la Concordia statue (pictured below), which barely beats out the Christ the Redeemer statue in Rio de Janeiro as the world’s tallest Jesus statue. 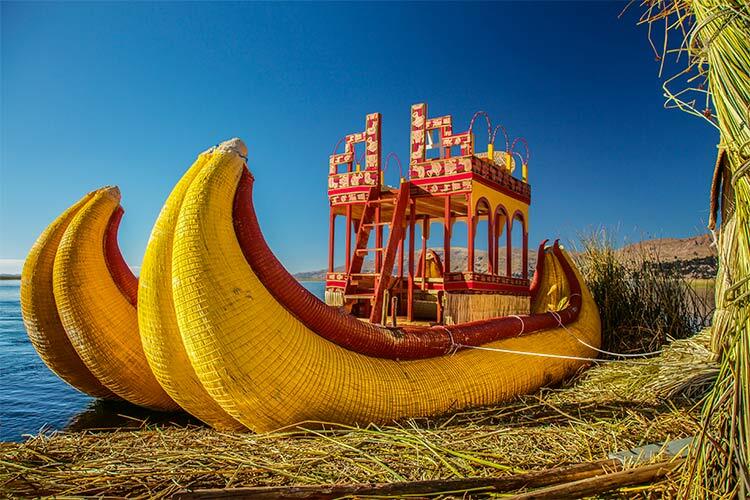 This isn’t the only art installation in Cochabamba, and in fact visitors will have no trouble finding galleries and museums as they wander the streets near Cochabamba Plaza. 6) When in La Paz, be sure to visit the infamous Witch’s Market, as well as the traveler’s paradise of Sagarnaga Street. If you’re interest in La Paz’s colonial history, head over to Calle Jean. Otherwise, head out of town to a popular nearby canyon region, Valle de la Luna. This site feature numerous eroded rocks, many of which are different colours on each side. 7) If you manage to make it out to remote Noel Kempff Mercado National Park, you’ll be rewarded by the park’s stunning natural beauty and numerous wild residents. This national park is one of the largest and best-preserved sections of the Amazon River Basin. The park is also famed for its waterfalls, of which the nearly 300 foot tall Arcoiris Falls are the most famous.